We know that pain is a part of life, but that doesn’t mean that we have to just put up with it! 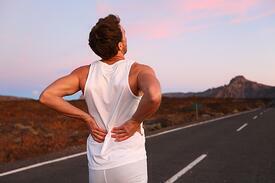 Here are some pain relief recipes for you. For this month’s newsletter, I want to share some recipes for pain relief with essential oils. We know that pain is a part of life, but that doesn’t mean that we have to just put up with it! Whether pain is acute and short-term (like a headache or sprained ankle), or something that we experience on a more ongoing, chronic basis (like aching knee joints), nature has ways to support us. The wide variety of essential oils that can help ease pain is really amazing to me. We find pain-relieving oils among the flower oils (like Lavender), herbal oils (like Rosemary), citruses (like Sweet Orange), piney and woodsy oils (like Black Spruce and Cedarwood), spicy oils (like Black Pepper), and earthy oils (like Vetiver). This leaves you so much generous room to get creative when using essential oils for pain relief. The variety of blends you can make is infinite! I’ll get you started with a few blends in this newsletter for headaches, sore feet, and more. This Massage oil can relieve pain in sore, achy muscles—whether it’s a “crick” in your neck, or a pulled muscle. Spike Lavender is wonderful for this kind of support, since it combines Lavender’s soothing presence with a fresh, camphoraceous aspect that takes an extra step towards pain relief. 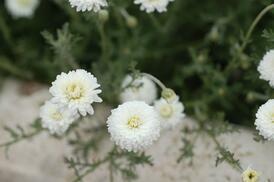 Roman Chamomile calms inflammation and helps us feel relaxed in a deep way. And you can learn more about Black Pepper in this month’s featured Essential Oil Spotlight section (below)! Make this blend in a 1 oz (30 ml) glass bottle. Combine the jojoba and essential oils, then shake gently. Massage sore muscles with this oil as needed. If you have never used Trauma Oil, I think you’re really going to love it! (I couldn’t send you a newsletter about pain relief without including it!) Trauma Oil is a carrier oil that’s infused with 3 healing herbs—arnica, St. John’s wort, and calendula. You can try it as a muscle rub all by itself before adding any essential oils. It’s very effective! 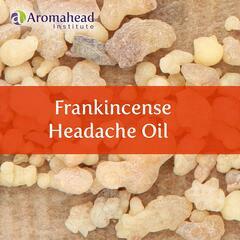 Making a headache oil recipe is a natural, effective way to relieve head pain. There are many different “kinds” of headaches. Some headaches are in a single part of your head. Others feel like they are all over your scalp, and even in your forehead and behind your eyes. Some headaches seem to radiate out from your sinuses, and others seem to radiate up from tension in your neck and shoulders. But all headaches have a few things in common. They cause pain in and around the head . . . and we want them to go away! A Great Earache Oil to Use for Kids! 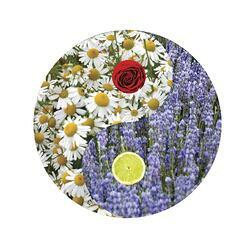 Do you read the International Journal of Professional Holistic Aromatherapy (IJPHA)? It’s such a beautiful Aromatherapy publication! Editor and publisher Lora Cantele curates incredible content—articles, essential oil profiles, industry news, product reviews, and more. I asked Lora if she would tell Aromahead readers about her journal. You can learn so much about essential oils by providing yourself with research-based, well-organized information. I think you will really enjoy the IJPHA! Black Pepper essential oil likes to get things done, so you won’t have to wait around to feel its benefits. Even a few drops of Black Pepper in a blend can offer quick effects. You can think of Black Pepper like a friend who has a lot of energy—always seeming to get twice as much done as everyone else—and whose insights always get straight to the point. In this Essential Oil Spotlight, I’ll show you how to use Black Pepper to support digestion, warm up for your workout, ease joint pain, and even calm a cough. 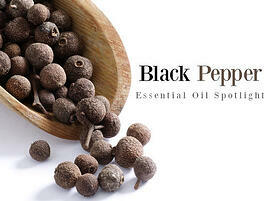 Read more about Black Pepper Essential Oil! MailChimp is an email service that you can use to build a list and send emails to your followers and subscribers. It’s easy to use, and they have an excellent free version that offers everything you need to get started building your list, sending emails, creating newsletters, and more. They have a variety of templates that you can use to design beautiful emails. MailChimp also allows you to build multiple lists, so if you want to have (for example) a list of subscribers to your blog, and another list of people who want to receive recipes in their inbox, you can keep track of both. MailChimp keeps track of how many people open your emails, so you can see which of your “campaigns” have been popular. On MailChimp’s website, they share that they are the world’s leading email marketing platform, with over 15,000,000 users. I can believe it! If you’re looking for an email marketing platform that is effective, affordable, and simple, MailChimp is a great service. Read more about them at their website. Who’s ready for a relaxing foot massage with essential oils? I am! Two of my favorite essential oils for foot massage are Peppermint and Patchouli. These two oils are both amazing for reducing inflammation and easing sore, achy feet. Patchouli essential oil smells very different than the popular incense. If you like the oil’s aroma, then I think you’ll find it a wonderful choice for a foot massage gel. Patchouli has a cooling touch, helps calm swelling, and eases tension (great for sore, aching feet). Peppermint is really a classic for foot massage. It’s fresh, cooling, helps reduce swelling and encourage circulation, and is just overall refreshing! Watch the video and enjoy the recipe! I hope these blends help relieve your pain! Trouble viewing this email? View the website version here. © Aromahead LLC. All Rights Reserved.